Despite its tactical intentions, we have found that thanks to its weight, balance, grip and long precision cutting edge, the Dragon makes a very functional and versatile knife in the shop, too. You can tell CRK&T held Mr. Kasper’s design in high esteem, since they made it in 9Cr18Mov (good stainless). They don’t make many knives in 9Cr; mostly 8Cr. Maybe, they just used 9Cr hoping to prolong the fine point? This is a great design concept, but the final product falls short. >>>>>>>>>>>>>>>>>>>>>>> The first major problem is the handle is too short, and the rear quillon digs into my pinky finger. Otherwise the handle is very secure, and functions well in most grip styles. It just needs to be a half inch longer between the quillons to accommodate large/gloved hands. The screws they used to attach the scales to the tang look like screws used in HO scale toy trains. Doesn’t inspire truck loads of confidence. >>>>>>>>>>>>>>>> I understand that they went with a hollow grind to take the taper down to a fine edge in the short amount of depth of blade (1.1875” at apex). 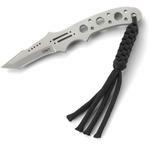 This would be stronger/better performing (less friction @ shoulders) tactical knife if they went with a deeper blade (2”? ), and went with a flat grind, or flat saber grind if you wanted to keep the shoulders, for added strength. I’d like to see the length extended, too, more closely to Fairbairn-Sykes minimum standards (6.5”-7”); and the blade thickness increased to 3/16” at the spine/tang. >>>>>>>>>>>>>>>>>>> I predict that this will become a true tanto blade (broken sword) after any hard use, as the point tapers down to almost the thinness of an Exacto blade. Upgrade the steel to CPM 3V, and the fine point may survive some abuse. As long as I’m whining about stuff: the jimping on the spine is too, aggressive, and is uncomfortable on the thumb. >>>>>>>>>>>>>>>>>>>>>>>> Well there ya go, CRK&T. We have designed the Kasper Dragon II. Hop on it, and we could have it by next year’s Blade Show. Might as well make the Kasper Dragon’s Beak (hawkbill version) while you’re at it. 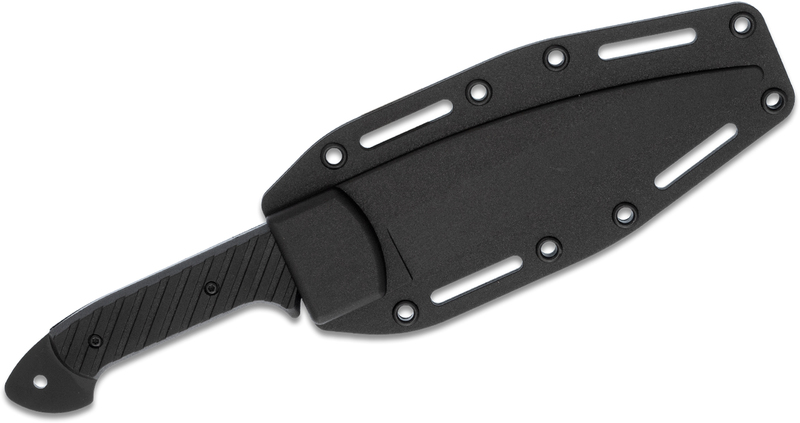 >>>>>>>>>>>>>>>>>>>>>>>>>>>>> Kasper Dragon is an effective, well balanced, mid-size tactical knife (a “little convincer,” as, I call ‘em). 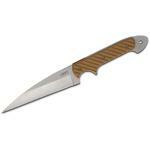 I bet this wharncliffe blade would score well on Michael Janich’s tactical pork roast. At these prices, I’m guessing that the Kasper Dragon is being discontinued. Heck of a deal. 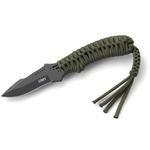 For any shortcomings, it is still a, “must have,” for serious collectors of tactical knives. Small and light, is this not more of a neck knife?? I purchased this for self-defense based on design and reasonable price. The sheath isn't the greatest but can easily be replaced according to personal preference. I bought this particular knife because I like the blacked-out version. The ergonomic handle reflects typical CRKT quality. 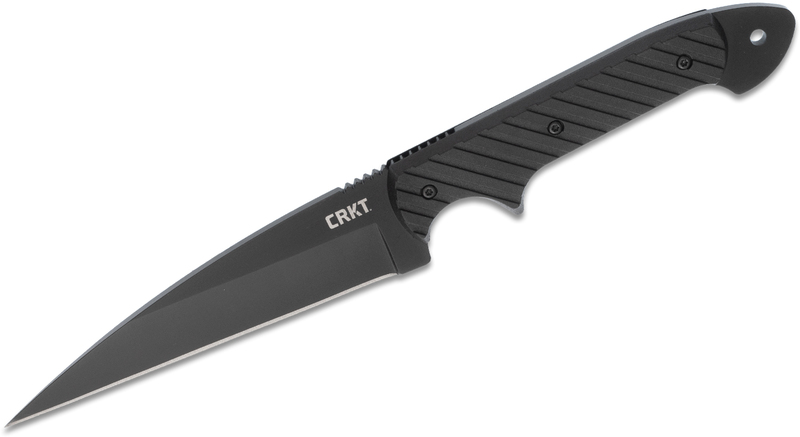 Hey, I wanted to share "Columbia River CRKT 2010K Crawford Kasper Dragon Tactical Fixed Blade Knife 4.5 inch Black Blade, Black Zytel Handles" with you from KnifeCenter.